#FilmFriday | My *No Spoiler* Review of @Avengers #InfinityWar + Movie Experience @AlamoRaleigh ! Disclosure: I received complimentary movie passes however opinions about my experience are my own. Finally the wait is over! I am thrilled that Marvel Studios’ AVENGERS: INFINITY WAR is now playing in theatres everywhere! I got up this morning, put on my camo leggings, some tribal face paint and was ready to watch the battle on the big screen at the new Alamo Drafthouse in Raleigh. Last week, I went to the Alamo Drafthouse Raleigh Grand Opening VIP Event and could not wait to come back for opening weekend of Avengers: Infinity War! Since I went to the 10:45am show, I ordered the avocado toast, which was tasty, and a Mimosa to celebrate Marvel Studios’ AVENGERS: INFINITY WAR opening! The seats were comfy and the service was great. I loved the convenience of ordering from my seat. Speaking of seating, you can even pre-select your seats before you go! SobeSavvy Tip: Arrive early to Alamo Drafthouse Raleigh and order from Video Vortex Bar. Stay later and pick out 2 VHS, DVD, or Blu-Ray movie rentals for FREE! What a great way to watch any of your favorite Marvel Studio movies again. Also, pick up some cool Avengers: Infinity War merchandise for sale at Alamo Drafthouse Raleigh. AVENGERS: INFINITY WAR arrives TODAY in theatres everywhere on April 27, 2018! If you live in Raleigh, plan to see it at ALAMO DRAFTHOUSE for a unique movie with dining experience. Disclosure: I received complimentary media passes for viewing of first showing at Raleighwood, however opinions about my experience are my own. In anticipation of BLACK PANTHER coming to theaters it was with great pleasure that I saw Raleighwood, “Triangles’ top rated movie theater, and only truly unique restaurant since 1993” was showing the movie on Thursday 2/15 !! I have heard about this cinema and how you can enjoy great food and drinks while watching hit movies in a casual and comfortable environment. Raleighwood hosted myself and a guest (my friend, fellow blogger Jen of jenoni.com rolled with me) to a girls night out in Raleigh to see a movie we all have been waiting for…BLACK PANTHER! Why is this movie so important for us to see? Because as African-Americans we rarely, if ever get a chance to see ourselves as a super hero. Marvel Comic has solved that issue with this movie. Without giving away any spoilers, I will say this movie was Ahhh-maaazzzing! From the costumes, to the script, the setting and of course the great acting and action, this is movie that needs to be seen by EVERYONE! I especially loved the representation of powerful women in this film, which showed a great balance of the women leading and serving. 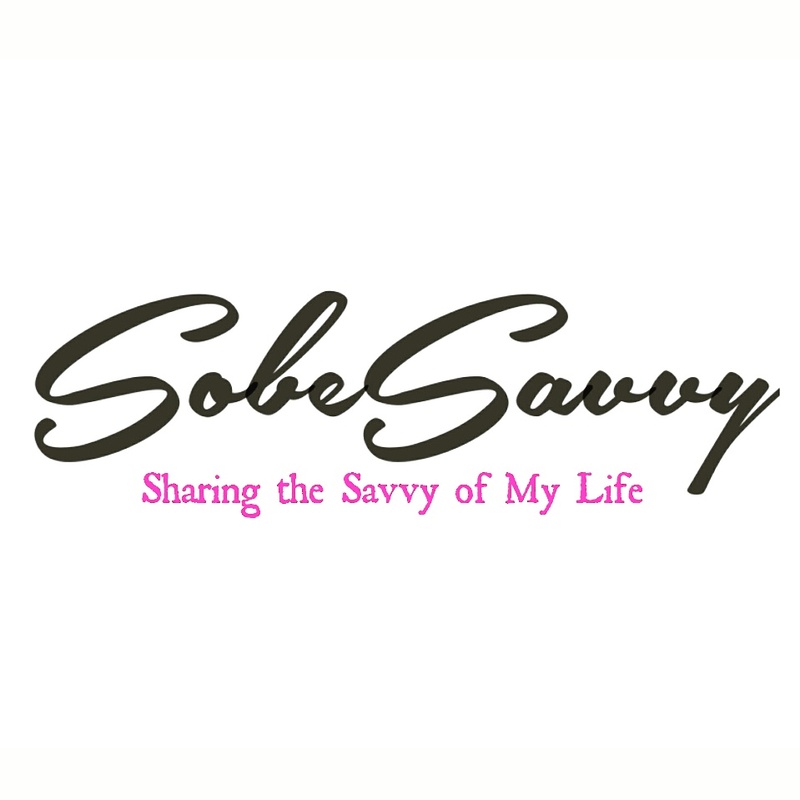 SobeSavvy Tip: Stay past the credits (both of them) for movie extras. Just when you think it’s over. It ain’t over! You don’t want to miss what Marvel Studios have planned for BLACK PANTHER! Synopsis: Marvel Studios’ BLACK PANTHER follows T’Challa who, after the death of his father, the King of Wakanda, returns home to the isolated, technologically advanced African nation to succeed to the throne and take his rightful place as king. But when a powerful old enemy reappears, T’Challa’s mettle as king—and Black Panther—is tested when he is drawn into a formidable conflict that puts the fate of Wakanda and the entire world at risk. Faced with treachery and danger, the young king must rally his allies and release the full power of Black Panther to defeat his foes and secure the safety of his people and their way of life. Check out this cool featurette for Marvel Studios’ BLACK PANTHER about how the film went from the page to the screen! BLACK PANTHER arrives TODAY in theatres everywhere on February 16, 2018! If you live in Raleigh, plan to see it at RALEIGHWOOD for a unique movie with dining experience. Get there early and choose from the various seating and table arrangements inside the theater. They serve food, beer and wine to be consumed before and during the feature film. We split an order of their chicken wings and a order of steak fries and it was pretty good! The whole experience was great and I plan to go back to see BLACK PANTHER again for the $5.50 matinee today!! Yep..it was that great ! Have you seen or plan to go see BLACK PANTHER? Share your thoughts below! Thanks for reading! Wakanda Forever! MOANA fans get your singing voices ready as Walt Disney Animation Studios introduces an all-new sing-along version of the hit, critically-lauded comedy-adventure MOANA, coming to theaters nationwide January 27th! Ever since my family and I went to the advanced screening of MOANA , my daughter has been singing and dancing to entire soundtrack! We love the film so much we even had a Moana theme night at home where I got my Polynesian on! I can not wait to see the movie again and continue on the epic journey. Fans are invited to set sail this time with an all-new sing-along version of MOANA launching in more than 2,000 theaters nationwide TODAY! MOANA audiences were swept away by the film’s original songs and score from a dynamic team that includes Tony®-, Emmy®- and Grammy®-winning songwriter Lin-Manuel Miranda (Pulitzer Prize- and Tony-winning “Hamilton,” Tony-winning “In the Heights”), Mark Mancina (“Tarzan,” Broadway’s “The Lion King”) and Opetaia Foa‘i (founder and lead singer of the award-winning world music band Te Vaka). The sing-along version of MOANA includes the full feature film with on-screen lyrics, so audiences can belt out the words to their favorite songs, such as the Golden Globe®-nominated “How Far I’ll Go.” Moviegoers can check local listings for showtimes and theaters; the sing-along run will vary by location. Walt Disney Animation Studios’ 56th animated feature opened domestically on Nov. 23, 2016, becoming the No. 2 Thanksgiving debut ever with $82 million. The film continues to delight audiences around the globe, earning more than $225 million domestically and $450 million worldwide to date. The film has a 95% score on Rotten Tomatoes and an “A” CinemaScore. MOANA has received, thus far, nominations for BAFTA, PGA, Golden Globe® and a Critics’ Choice Movie Award for best animated feature. The film’s uplifting soundtrack has dominated the music charts for more than six weeks, peaking at No. 1 on the iTunes Albums chart; it is currently No. 1 on Billboard’s Top Album Sales chart and No. 2 on the Billboard 200 album chart. The soundtrack is available wherever music is sold and streaming. Audiences can soon enjoy the original theatrical version of the film at home and packed with a variety of bonus extras when MOANA arrives on Digital HD/3D and Disney Movies Anywhere (DMA) on Feb. 21, and on Blu-ray 3D, Blu-ray, Digital SD, DVD and On-Demand on March 7. Whether you have never seen Moana before or plan to see it again like us, you are in for a treat! The movie, it’s message and the songs will leave an impression on the whole family. Three thousand years ago, the greatest sailors in the world voyaged across the vast Pacific, discovering the many islands of Oceania. But then, for a millennium, their voyages stopped – and no one knows exactly why. From Walt Disney Animation Studios comes “Moana,” a sweeping, CG-animated feature film about an adventurous teenager who sails out on a daring mission to save her people. During her journey, Moana (voice of Auli‘i Cravalho) meets the mighty demigod Maui (voice of Dwayne Johnson), who guides her in her quest to become a master wayfinder. Together, they sail across the open ocean on an action-packed voyage, encountering enormous monsters and impossible odds, and along the way, Moana fulfills the ancient quest of her ancestors and discovers the one thing she’s always sought: her own identity. Voice Cast: Auli‘i Cravalho, Dwayne Johnson, Jemaine Clement, Rachel House, Temuera Morrison, Nicole Scherzinger, Alan Tudyk. Directed by the renowned filmmaking team of Ron Clements and John Musker, produced by Osnat Shurer, and featuring music by Lin-Manuel Miranda, Mark Mancina and Opetaia Foa‘i. Set in the Hawaiian islands, Moana follows its namesake who is a young girl who is the future chief of her people. She must go on a fantastic voyage over the ocean to face down a monster that holds the key to saving her village. Along the way she ecounters a a demigod names Maui. Together they face all sorts of challenges natural and supernatural. The amazing 3D animation and memorable soundtrack make Moana an instant classic. The kids in the theatre cheered at the end. If kids loike a movie then you KNOW it’s good. I don’t know who loved it more, me or my 5 year old! Over the long upcoming Thanksgiving weekend take the whole family on a virtual Polenysian vacation right at the movies. Be prepared to join Moana on a fantastic journey ! Savvy Tip: Be sure to download and print these FREE MOANA COLORING SHEETS from this link http://www.getcoloringpages.com/moana-coloring-pages like this one! Tie it in a bow , add a fresh box of new crayons ..instant Christmas stocking stuffer fun for your little one! <img src="http://sobesavvy.com/wp-content/uploads/2016/11/photogrid_1479750189378.png" alt="" class="wp-image-10663 alignnone size-full"
Fathom Events and Bryton Entertainment are proud to bring In Their Own Words: The Tuskegee Airmen – The 75 Anniversary to select cinemas nationwide for a special one-night event on Tuesday, March 29. SobeSavvy.Com headed to the movies to celebrate the historic heroes in this exclusive documentary event, which featured a panel discussion captured at the National Air Force Museum with Tuskegee Airman Lt. Col. George Hardy, Former Administrator of NASA Col. Fred Gregory, as well as the producer Bryan Williams and director Denton Adkinson. In Their Own Words: The Tuskegee Airmen – The 75th Anniversary features 16 Tuskegee Airmen as they recall their incredible experiences through emotional interviews, rare photographs, archival footage and computer-generated recreations. Experience the tales and exploits of America’s first African-American fighter pilots who, by flying the skies of the European Theater during World War II, broke racial barriers stateside. I watched as the Airmen remembered being some of the first to begin the civil rights movement and living long enough to see the changes that would continue to resonate today. What made this special was that first person account of how many obstacles all of them had to overcome to earn their wings. Racist superiors who thought they were not brave or smart enough to be fighter pilots. In a twist of fate, no other than the first lady Eleanor Roosevelt also helped to advance their cause when she choose to actually be flown by one of the airmen. Perceptions changed, albeit slowly. Most of them were tasked with being bomber escorts on missions. Protecting and making sure B-52’s delivered their bombs on target was essential for winning the war. The bomber crews were always happy to see the airmen who painted their plane tails red, so everyone called them the “Red Tails”. They proved their mettle to the nation only to come home after the war and still face the virulent racial injustices that was still prevalent. These patriots paved the way for black aviators of the future. They are true American heroes. Great story and great documentary. We here at SobeSavvy.com can’t help but be excited for the release of Star Wars: The Force Awakens ! We joined Storm troopers and Jedis from galaxies far and near in attending the Moe’s premiere of Star Wars: The Force Awakens 3D at North Carolina’s largest screen Marbles IMAX in downtown Raleigh on December 18, 2015 at 7:00pm! Guests were asked to arrive at 6pm for a pre show Star Wars-themed dining experience which included games and prizes courtesy of Moe’s Southwest Grill! Costumes were welcomed and many movie goers donned their favorite Star Wars themed outfit. BuyCostumes.comBuyCostumes.Com had this cool Boba Fett costume that I planned to wear but it arrived as I was leaving for the event! So plan B was a screen tee from Sears ! I snagged these items for my husband and myself. Thanks to Moe’s Southwest Grill® Triangle-Area Locations for giving Fans a Chance to Win Tickets to Star Wars: The Force Awakens, truly one of the year’s most anticipated movie premieres! We enjoyed the food, fun and games at this private premiere party and appreciated the opportunity to skip the lines and be the first to experience a great movie ! Be sure to visit Facebook.com/MoesTriangle for even more chances to win tix to future premiere movie events. For a full list of Triangle-area Moe’s locations, please visit Moes.com/Find-A-Moes. Now go forth (and use the Force). *As the song goes…”After the show is the after party” featuring my belated Boba Fett outfit. Lol, How Fun ! Goodnight and May the Force Be With You! Ailey’s film is one of four in a new series entitled “Lincoln Center at the Movies: Great American Dance,” presented by Fathom Events and Lincoln Center. Captured before a live audience during Ailey’s recent Lincoln Center season, the performance includes four audience favorites – Wayne McGregor’s Chroma, Ronald K. Brown’s Grace, Robert Battle’s Takademe, and Mr. Ailey’s masterpiece, Revelations – as well as a look behind the scenes and exclusive interviews with the artists. As a lover of all things Ailey, I am very excited to enjoy this performance in a unique , intimate setting. It’s like having a front row seat and a backstage pass all in one! Fathom Events is known for bringing one time speacisl events in Theaters near you at an affordable price . Be sure to stay connected so that you don’t miss out!